Live across from world renowned East Beach where volleyball players come from around the world. This condo is an oasis. It has all of the luxuries of resort living: entertainment area, pool, gymnasium, health club, spa, tennis courts and 24-hour security. Porch looks out to the ocean and parks. 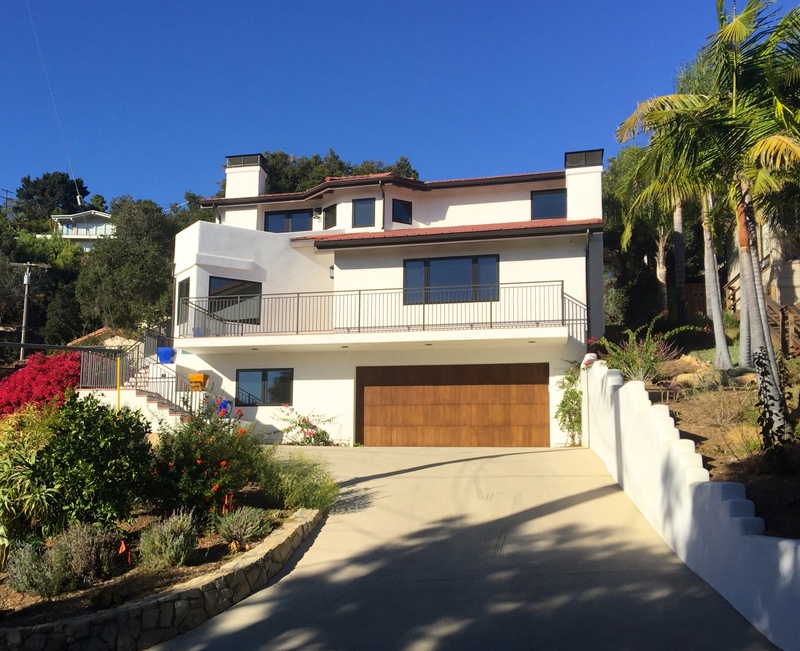 Beautiful Riviera Spanish Modern Home with city, ocean, and island views. Grand master bedroom encompasses the top floor with porch overlooking views. Completely remodeled and updated with hi-tech amenities in every room. New construction crafted with care by local contractor. 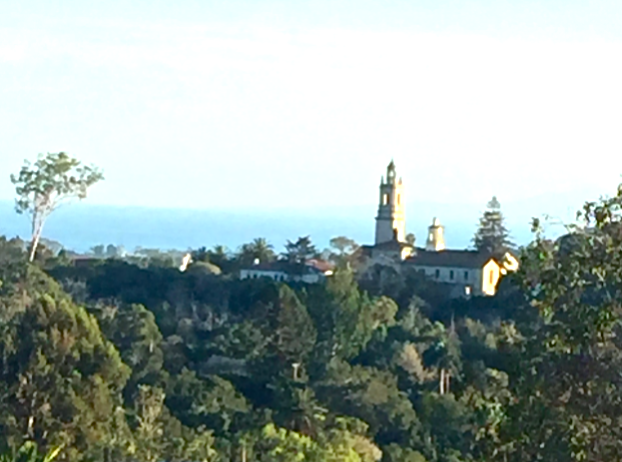 Absolute fantastic ocean island views with the historic seminary spire front and center. Sit on the south facing expansive porch and take it all in! The comfortable layout of the house offers living room, dining room, fireplace and views. Plenty of living space with 4 bedrooms and 2 baths and the yard wraps around with gardens and fruit trees. An interesting Spanish Colonial Revival house of the mid 1920s. Unusual features include the flat roof of the parapet, Palladian type windows flanking the entrance which projects slightly from the rest of the building, and curved buttress-like elements at the corners. 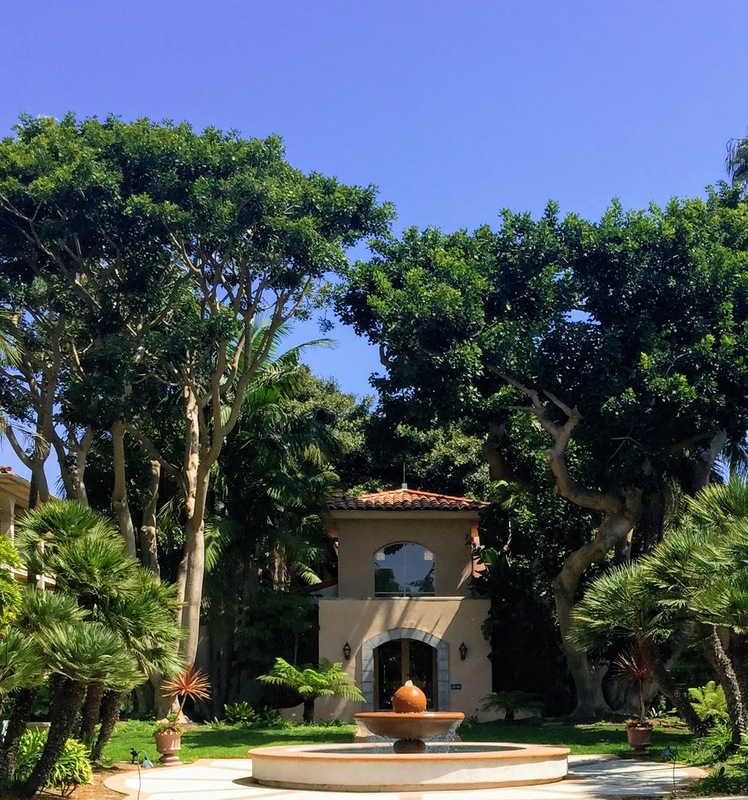 One fabulous d’Alfonso spanish home with views of the ocean and the palms along Cabrillo. 3 bedroom, 1 and 1/4 bath with a beautifully rock terraced front and large backyard. Views from the upper level of the yard. Lots of charm, fruit trees, french doors, and extra room off garage. Desirable Marine Terrace Home with traditional wood floors throughout. Sunny location near beach. Newly maintained with lots of improvements. New roof, driveway, irrigation, and landscaping. Abundant foliage creates private rear yard. Close to shoreline park. Near Washington Elementary, terrific shops and restaurants on the Mesa. Spacious light mesa end unit. Cathedral ceilings and fireplace in living room. Redwood fence surrounds deck and spa off living room. Large master bedroom with 3 windows. Closet organizers in garage and 2nd bedroom. La mesa park, the ocean, and the mesa shopping center are all next to this complex. Great mesa living. Fabulous updated home in highly sought after Mountain View School Attendance area. Large 4 bed home plus loft features a spacious remodeled chef’s kitchen that opens to the large eating area. Kitchen features slab granite counters, stainless steel appliances, custom cabinetry, and center island. The loft can be used as an office/den/TV room or playroom. Living room has cathedral ceilings. Old world charm, this california cottage has arches, built ins, and hardwood floors. Extra dormer over living room, new rock/aggregate driveway, new fence, flat backyard. Floor plan potential for extra room in attic. Enjoy peace and quiet near ocean. Beautiful parkcrest home with sunroom and spa. Kitchen has skylight and tile counters that match floors, all in neutral colors. There are many fruit trees on this large corner lot. Association offers pool, tennis court, and green areas. Close to golf course and beaches. Santa Barbara, CA 93105 Samarkand above Treasure Dr. Above Treasure Dr. Tudor style with loads of privacy. Large livingroom with fireplace. Separate dining room. Attic storage with pull down stairs. Freshly painted inside and out, hardwood floors, third bedroom has enclosed porch and lots of charm. Done with permit in 1954 per city records. Fantastic buy in this totally remodeled and charming villa constance south condo. Priced $8500 below recent sale to sell quickly. New carpet, paint, and updated kitchen. Ground floor and sunny with big patio. Recent conversion from coop to condo makes unit more valuable for financing which broadens resale market. Association fee includes utilities. 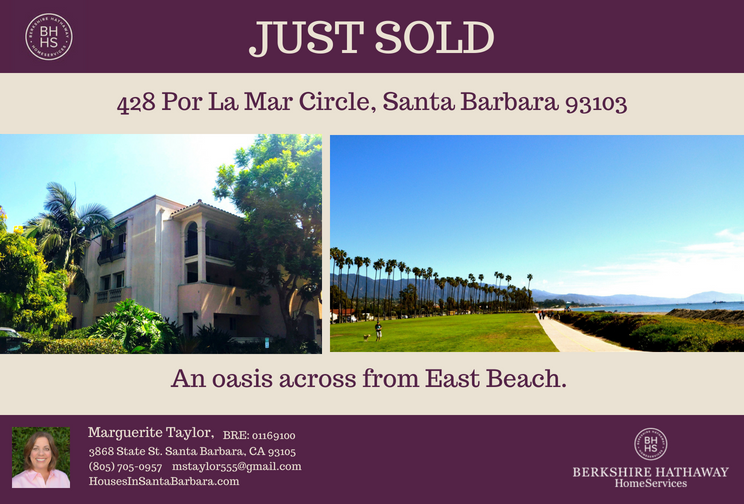 Cat ok.
Centrally located in Santa Barbara, this condo is close to Hendry’s Beach, the Mesa, La Cumbre and downtown. Remodeled 2 bedroom, 2 bathroom home. Top of the line materials used. Granite countertops, maple cabinets and stainless steel appliances in kitchen. Bedrooms with walk-in closet and storage. Living room that opens to patio with beautiful views. Dining area off of kitchen, laundry area, wooden window coverings, nicely tiled and carpeted flooring throughout. Attached one car garage and close to shopping, schools, bus. Nice community oriented location with elementary school just about across the street, stores, bike path and ocean are nearby. Large 4 bedroom, 2 bath with master suite. Light and warm remodeled kitchen with adjacent dining area. Beautiful spacious surrounding yard with fruit trees, low maintenance landscaping and mountain views. Rhoads open space and park are practically in the backyard, yet private. This area offers a fabulous bike path, creek, riparian habitat, farms, all very close to schools, shops and beaches. Lovely home in good condition with a white rose arched entryway to front door. Vaulted ceilings in living room, and kitchen faces the backyard, which has nicely landscaped gardens. La Goleta offers a pool, spa and pathways around the development which is surrounded by mature landscaping and eucalyptus trees. This condo offers updated kitchen, bath, living room and it has views to the pool area. Open areas surround this ground level, corner unit with views of the greenbelt & trees. 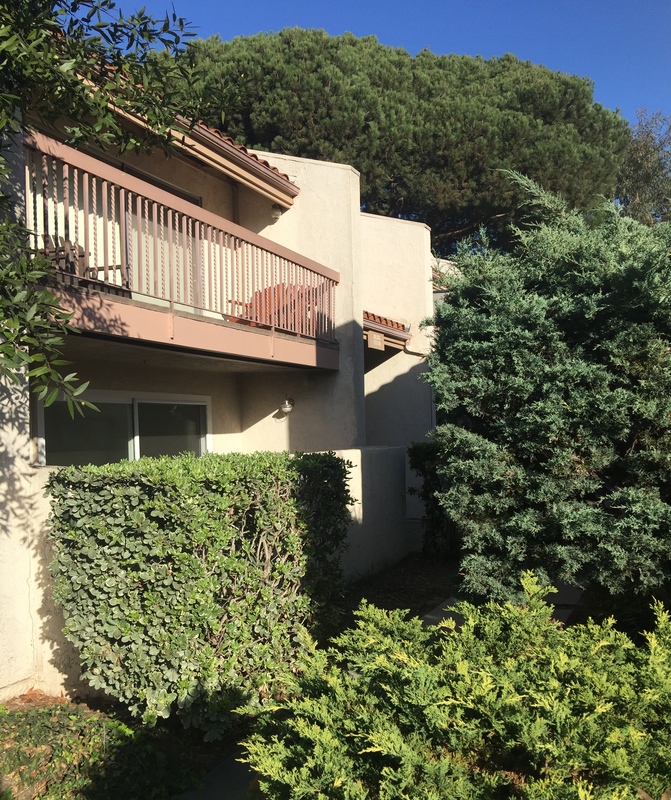 Amenities include pool, spa, laundry, maintenance; insurance includes water and Close to UCSB, Goleta Beach, bike path, shopping and more! Desirable pacific palms located on a pleasant street. Light and warm southwest facing living room with cathedral ceilings and fireplace. Dining area opens to saltillo tiled atrium and kitchen. Spacious master suite has walk in closet and large master bedroom bath. Two car garage, pool, and spa. 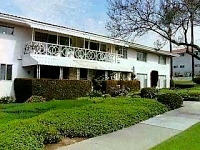 South facing condo tucked away in complex on a very nice cul de sac. Lush green belt, stores, and Girsh park nearby. Two bedroom, two bathroom, 1859 square feet. Spacious master bedroom. Vaulted ceilings. Light and bright. Large open patio off living room. Wonderful spacious home with open floor plan: kitchen opens to living room. Large backyard and well maintained landscaping. Spacious 1/4 acre lot in Kellogg School Attendance area. This home has several fruit trees and a vegetable garden. Beautifully remodeled light, bright and large kitchen with family dining area. Updated baths with jacuzzi tub. Large living room with wood/gas burning fireplace. AC, RV access and parking with full hookups. Near schools and Calle Real shopping center. Elliot-built Crestview home in exceptional condition. Spacious, light and warm home and very close to the desirable Kellogg School attendance area. All new paint, carpet, and hardwood floors. Tasteful touches added with new window coverings and long lasting amenities. Living is easy in this peaceful 2 bedroom 2 bathroom townhouse style home with pool and cabana clubhouse. Kitchen and breakfast area opens to spacious living room and large private patio. Tranquil mountain views, many upgrades, and generous amenities. Large attached garage has laundry and extra space. One of the most popular floor plans with formal entry, and open kitchen, spacious dining area and living room. Patio off of living room is consistent with the open floor plan. Some notable features are the updated kitchen, ceramic tile, tasteful wall covering, and hardwood floors. Living room and dining room have plantation shutters. Large master bathroom. Front deck and back deck. One bedroom with partial red wood paneling, making for an excellent den or office. 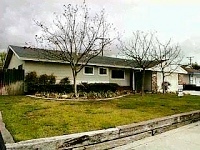 Charming home in a fantastic downtown Goleta location. Just blocks to the many shops, community and senior center. Updated with new wood lattice work patio enclosure, extra storage, and low maintenance garden. Large 4 bedroom home offers great family floor plan. Kitchen opens to family room, separate dining area off living room and fireplace. Large master suite has separate vanity area and mirrored closet doors. The extra room can be an office or fifth bedroom. New front and garage doors, decorative wrought iron around windows. This beautifully remodeled park corner home features cathedral ceilings, hardwood, tile, and new carpeted flooring. Has built in book shelves, a window bench, and a fireplace, as well as central AC, solar panels, and alarm system. A wall was removed to open space in dinning area. 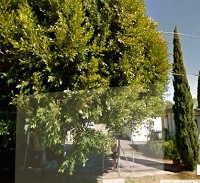 Back and side yard have fruit trees and opens to park and pool. Must see. Fantastic location. Wonderful views from patio. Light and bright in living room and kitchen. Fantastic Polo Field views. Near beautiful beaches, restaurants, and stores. Take advantage of polo membership activities. 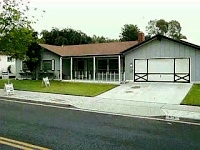 Desirable area in Carpinteria, near schools, the famed Linden Avenue, and Carpinteria beaches. This home has pride of ownership with a custom touch in every room. Extra room and bath. Gem of a backyard with a large patio, lots of fruit trees and a vegetable garden. 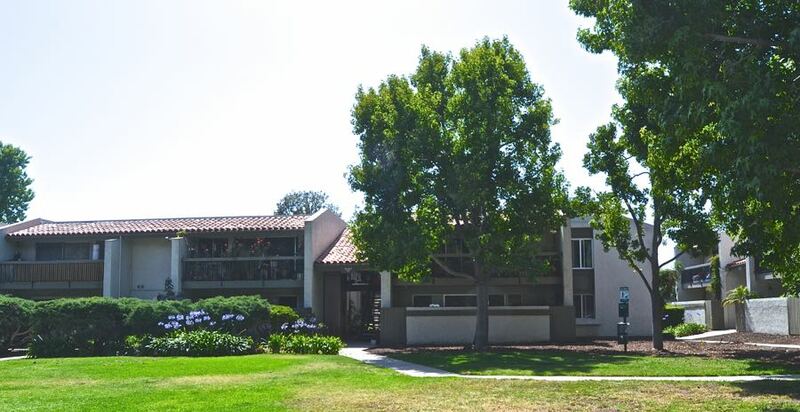 Enjoy Carpinteria country like living, near the beach. Great residential home, centrally located between the mountains and the beach. Flexible floorplan, with lovely adobe brick fireplace and hearth. Remodeled baths using tasteful tile. Very spacious yard all around home. Best location at Casitas Village. Penthouse unit with no view of condos out your living room window, just mountains and trees. Brand new micro-hood and dishwasher. Very good condition. This new 3 bedroom home is located in a nice, quiet community. Enjoy the nearby Kimball Community Park and Aquatic Center. Property is a wide, open layout perfect for entertaining or spending time with the family. Great room with dark wood, wide planked floors. Granite counter top kitchen island and new cabinets. Separate formal living room and dining room.